Great news for all participants of the Serenity project! 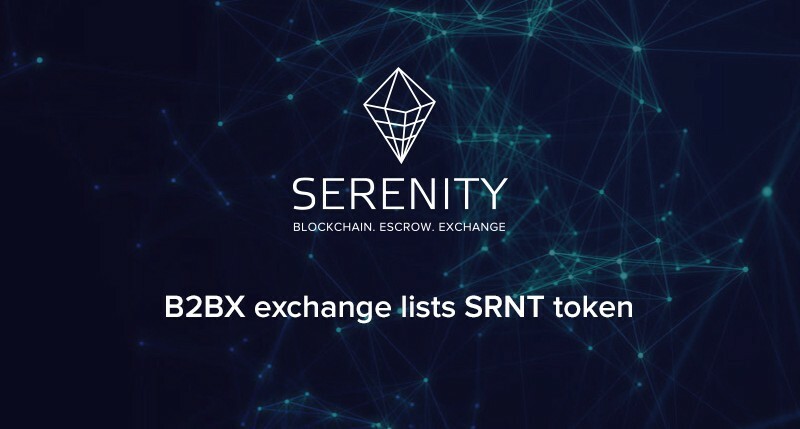 Our token (SRNT) is now listed on the trading platform B2BX. This means that the token became available for trading in pairs with Bitcoin and Ethereum: SRNT/BTC SRNT/ETH. B2BX is a rapidly growing cryptocurrency exchange licensed by the Estonian regulator. It provides its clients with high level of security, fast withdrawal and margin trading. B2BX positions itself as an exchange for professional traders and institutional clients. The blockchain-based escrow Serenity was created to combat fraud in financial markets. The centralized exchange Serenity is a platform for fast and secure trading and exchanging cryptocurrency.